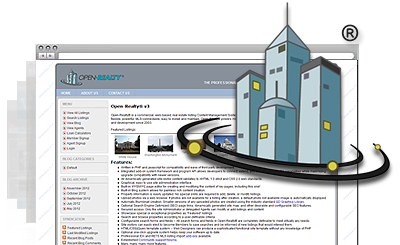 Our servers are 100 % compatible with Open-Realty®. We offer a one-click Open-Realty® installation, a 24-7-365 customer service, a ninety-nine point nine percent server uptime guarantee and a plethora of cost-free extras. You can get an Open-Realty® hosting account for only $2.75 per month, together with a brand new domain. Open-Realty® is a trademark of Transparent Technologies, Inc. and shares no connection with BreHost.